She left her nails down to the quick. Meus joelhos estão em carne viva depois de eu cair. I have deep flesh wounds on my knees after I fell down. O corte foi tão profundo que está em carne viva. The cut was so deep that it shows the flesh. Everyone can see the flesh of my knees after I fell down. I grazed my knees after I fell down (may or may not show the inner flesh). I grazed my knees deeply after I fell down (certainly shows the inner flesh). He fell off the swing and grazed his knee. Humans come in two states: the quick and the dead. The verb "to quicken" is as old as the English Bible, and has surreal meanings. Raw é uma opção também. My knees are raw after I fell off. O que você acha Telma? As Telma said, "graze" would do (generally to minor injuries - superficial ones), and now some examples. 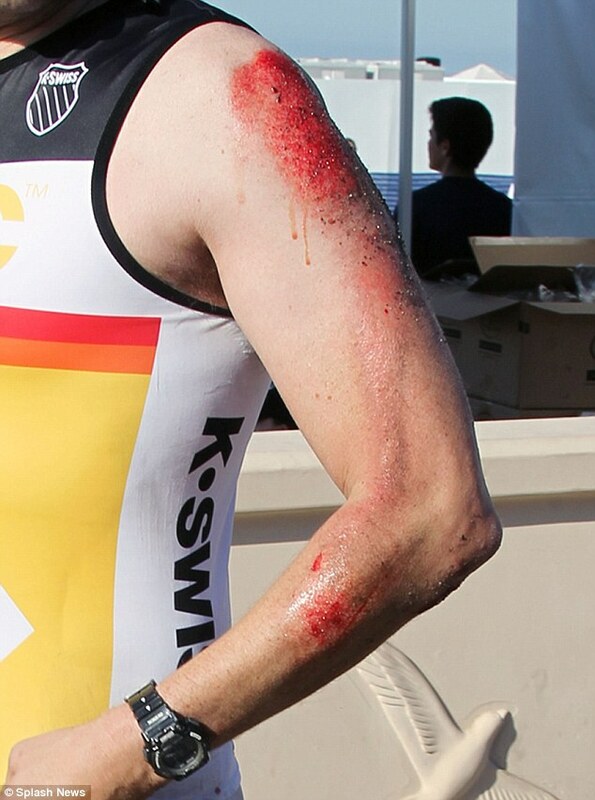 (Jon) Cryer, who plays Alan Harper in the long-running CBS comedy, was forced to bow out of the race after the tumble, which left him with bloody grazes down the left length of his body and both of his arms. As for burns, one can say that somebody else was burned (seriously injured) and his/her skin was (or appear, in the sense of being - if one is describing it "in loco") white or charred. Para dizer em carne viva em inglês, usa-se (também) o termo raw combinado com wound, em um formato que difere um pouco do português. Mas, no final das contas, a ideia expressa é exatamente a mesma. Confira a seguir para saber como fazer. A wound that exposes subcutaneous tissue. Alive" is the original meaning of quick. The quick and the dead did not refer to gunslingers in the Old American West, but instead refers to "the living and the dead" as in the Bible, Acts 10:42. The current meaning of quick, "rapid", did not emerge until the 13th century. It's archaic, but "alive" was the original meaning of "quick". So in modern English we would say ´She bit her nails to the flesh´ or ´bit until the bone´. Insightful! Thanks for your enlightening post, it´s indeed an interesting one!